Sometimes I look at my blog statistics to find out how people find me. Quite frequently searches like “pipe cleaner dolls”or “wee felt people” bring them here. This week’s wordy favorite was “how to wrap embroidery floss around pipe cleaners for fairies”. Last week, I received the most wonderful e-mail message from Michele in Nebraska, who wrote, “I didn’t do anything else yesterday evening except enjoy every single thing on your blog.” She went on describe how she and her family have enjoyed the doll projects in Felt Wee Folk. “I purchased your book when my daughter was 15 (she is now 20 and a new mother). She had a close friend spend the night once that year and I brought my new book, along with lots of felt, threads, combed wool (I spin) and all manner of goodies, into the kitchen with the two girls and announced we were going to make tiny dolls. You should have seen their teenage faces! At first hesitant and then fascinated and completely absorbed, those two girls insisted on staying up till 2:30 in the morning so their little people could be finished! We talked about everything and laughed and laughed and when we were done, we sat and looked at our little people with the greatest satisfaction and joy. Just recently, my daughter’s same good friend came to our house to visit and told me that night spent here was the most fun she has ever had and that she felt so much love in our home. She has her little Wee Folk doll still and wants to make more with her children when she has them. Stories like Michele’s make me feel that sharing my fantasy/play world is truly worth it. It warms my heart to think of kitchen tables around the world scattered with silk flower petals, pipe cleaners and acorn caps. 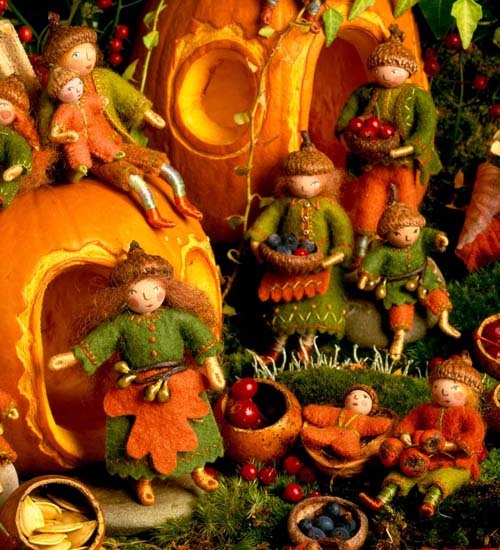 I can imagine faces of all ages and colors bowed in concentration and busy hands engrossed in making wee dolls. 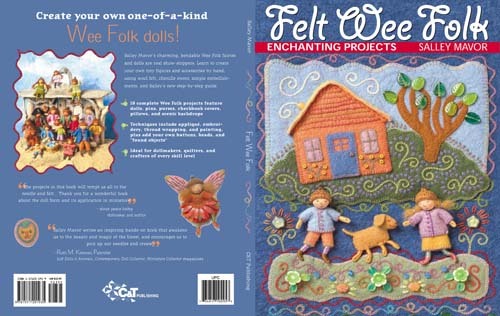 It’s been almost 9 years since Felt Wee Folk was released by C&T Publishing. Since 2003, the book has been reprinted many times, selling over 50,000 copies, which is way more than any of my children’s books. 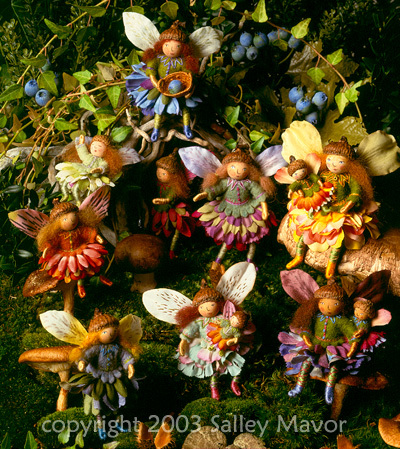 This entry was posted in Dolls, Embroidery, Fabric Relief, Fairies, Family, my design productions, Wee Folk by Salley Mavor. Bookmark the permalink. Your posts always make me smile. Thank you so much for sharing your ideas. I concur with what Michelle had to say regarding the magical nature of your work and how you present it to others. We can all strive to become a bit more magical just by making one of your dolls…and by the way, my handcrafted little wee folk doll just came out after being packed away for months during our renovation. It was wonderful to see her again! Merry CHRISTmas to you and yours as you relax and take in all the wonders of creation…and being creative! Blessings and peace at this wonder-filled time of year. I want to thank you again, for the absolute joy your work and your sharing of it brings to my life. I have one of those kitchens! Thank you for sharing your lovely little dolls! Yes, thank you for sharing your work! I found your book this summer, when I turned a violin into a fairy tree house for a school fundraiser. During the same online research period, I found Sally J. Smith, an artist who makes, among other things, fairy houses (greenspiritarts dot com). My dream exhibit would be Salley & Sally, beautiful fairies in beautiful houses. Another possible venue for your current exhibit (sorry, I have no connections): The Wisconsin Museum of Quilts and Fiber Arts, wiquiltmuseum dot com. Again, thanks, and best wishes.